We are super proud of how our people consistently step up and contribute to their neighbourhood and communities! Each spring and fall Bison supports over a dozen local and national charities as part of our Bison Cares campaign. This includes Canadian Alzheimer’s Society, Heart and Stroke Foundation of Canada, Canadian Cancer Society, Humane Society of Canada, ALS Canada, Special Olympics, The United Way, Kidney Foundation of Canada and many others. 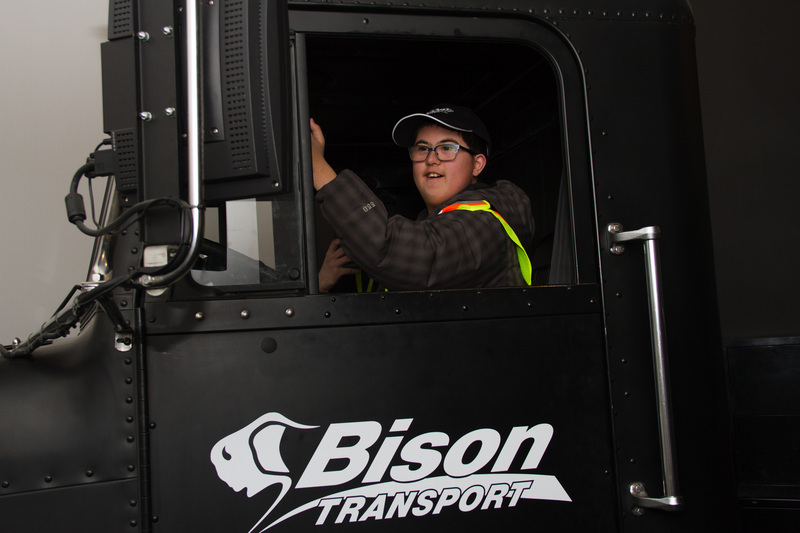 In March, we welcomed to our Winnipeg terminal one of Bison’s biggest fans. His name is Daniel and he is a Special Olympics athlete. We first met Daniel when we were teamed up with Special Olympics for a parade float. Daniel quickly fell in love with Bison trailers. His mom, Cathy, told us the story about how our trucks quickly became Daniel’s favourite sight on the road. She noted that it has turned into a family game. “Daniel's grandparents are even looking as they live off of Route 90 (in Winnipeg) where there is a lot of traffic,” said Cathy. “They report to Daniel if they've seen any Bison trucks on the road." Daniel and Cathy spent the afternoon touring our facility and witnessed quite the roadster in Daniel when he got behind the wheel of our driving simulator. He was right at home in the driver’s seat – and even got in on honking the horn. He did an awesome job. This year Bison continues our partnership with Brooklands school. 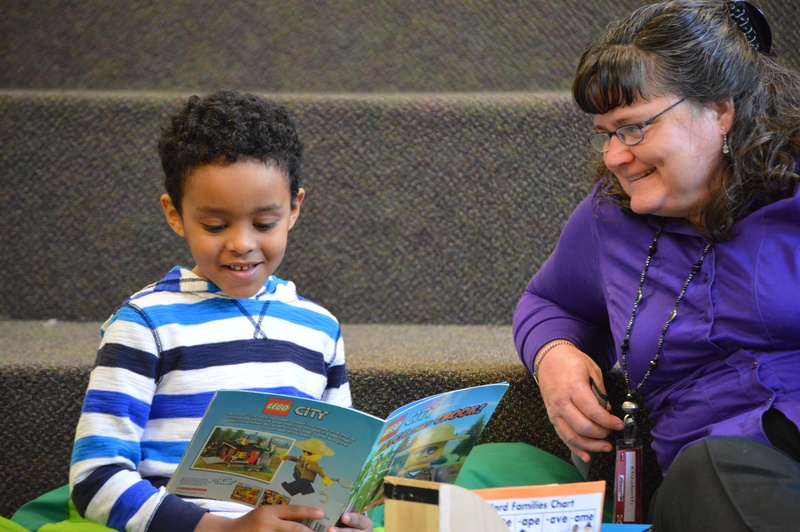 A group of Bison employees paired up with students as reading buddies. Our team recognizes that literacy is an important part of growing up so we had plenty of team members volunteering to spend one-on-one time with the students. 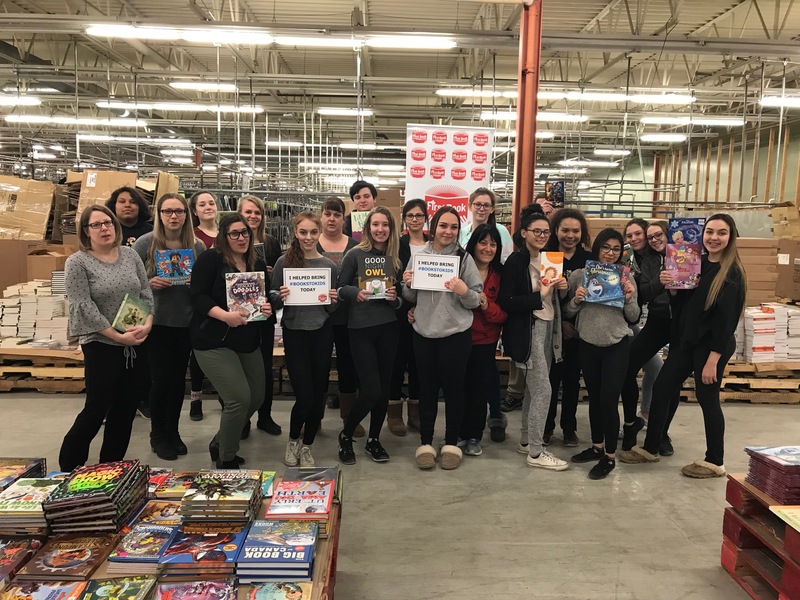 Bison’s commitment to literacy also saw a team of employees attend the Pop-Up Book Distribution in Winnipeg to help sort and distribute thousands of donated books to First Book Canada. First Book Canada’s mission is to transform the lives of children in need by improving access to educational opportunities. Since 2009, they have distributed more than six and a half million books and educational resources to programs and schools serving children from low-income families in Canada. First Book Canada says that almost 25 per cent of Canadian households do not have a single book. Our volunteers were on hand with a dozen local students to unpack pallets. The large quantity of books donated was inspirational! It left the Bison family with such an incredible feeling that they helped families get the books they need. “Bison employees’ charitable spirit is infectious and so helpful,” said Tom Best, First Book Canada’s executive director. “Whether it’s sorting and packing books, shipping books to isolated parts of the country or just taking time to read with children who do not have access to their own books, the staff at Bison can always be counted on to pitch in. We could not have a better corporate partner." As a part of the Bison Cares Spring Campaign kickoff in early April, the Bison family was motivated by music artist Robb Nash. Nash, who was previously involved in a head-on automobile crash and pronounced dead by first responders, has lived to tell his inspirational story and share his optimistic outlook on life. The struggles were real – Nash was left with physical and emotional scars – and says it is positivity, persistence and perseverance that keep him going. Nash has made headlines in recent years sharing his personal struggles and telling stories through his music. Nash met with our team, an appearance that was live-streamed to our terminals across the country, and spoke about suicide, addiction and mental health – topics that affect millions of Canadians every day. Nash visits schools across Canada to inspire youth to live their best life and overcome the obstacles they might face. Check out the video of Nash at our terminal to learn more about our partnership as he helped kickoff Bison Cares. As we head into another exciting Bison Cares campaign, we encourage you to support the causes that matter to you. When people join forces it is truly inspiring to see what they can accomplish. The Bison family is living proof that we can make a difference.